Ready or not, this week we will be Wandering to new depths of the void. Cabaal has just released another EP of exploratory oddity that is sure to send a cold wind down your throat and a shiver in your spine. As we listen we will sink further and further into darkness and unknown. We are in a tiny poorly built submarine with only a circular window to peer out of, and we will witness the translucent alien creatures that were beyond the reaches of our imagination. Here we are, at the APEX. 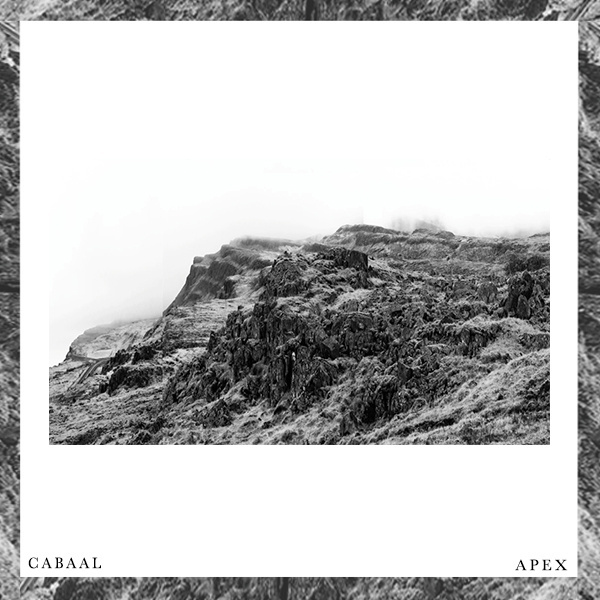 Sensationalist introduction aside, Cabaal’s newest EP, APEX, feels like the Ocean Deep episode of BBC’s Planet Earth if they wanted to make that show both terrifying and exhilarating at the same time. APEX begins with a slow-moving and completely unsettling bout of electronic ambience. The echoing synthesizers create an immense amount of space, allowing the mind to conjure up any possible image of what may be hiding there. Just when I felt like the tension might break me, “Crystallize” kicked in with an adventurous rhythm. The difference between the first two tracks represents two distinct atmospheres present on APEX. On one side we have the minimalist, spacey, and tension-riddled ambient tracks, and on the other we have percussive pulsing tunes that drive the EP forward. This balance makes APEX Cabaal’s most intriguing and diverse EP to date. I mentioned in a previous post that Cabaal’s sound appears to be maturing with each release. Every time he brings out a new collection of synth-soaked textures I feel the production gets better. The layering gets deeper, the tonal range becomes more intertwined, and the construction of each song is more precise. In APEX has continued this trend. The way the overlapping synthesizers blend is smoother than it has ever been. I have said this to myself with each of the four EPs that Cabaal has created, and I will say it again: this is his best work yet. The last point I will touch on here is the construction of the EP as a whole. I have always felt that Cabaal chooses where to place his songs carefully, but never before have I felt the kind of motion from one track to the next that I hear on APEX. Although short, this listening experience seems to drag the listener down until it climbs out of the auditory ocean floor with its final track. But let’s get serious for a second. Cabaal’s sound has been growing with each of his four EPs. Now we have reached the APEX. To this I say, when are we going to hear a Cabaal full length? I am very curious to see what he can do with a bit more time to play around. Just so you know, all of Cabaal’s EPs are available FOR FREE on his bandcamp page. Check em out.